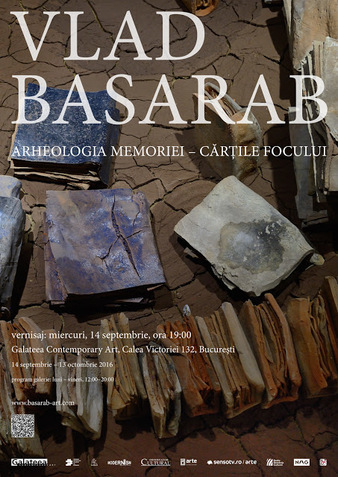 The current exhibition at Galateea Contemporary Art (September 14 – October 13, 2016) is part of a circuit of itinerary exhibitions from the cycle The Archaeology of Memory, initiated in 2013 at West Virginia University Creative Arts Center, continued in 2015 at The Romanian Cultural Institute New York, Pittsburgh Center for the Arts and NCECA Biennial, Brown University, Rhode Island in 2015; Brukenthal National Museum (2015 – 2016); the Museum of Art in Arad and The National Art Museum of Moldova, Chișinău in 2016.
archaeological site in the likeness of an archetypal library of ceramic books. I have chosen to reference books because they are historic symbols of knowledge and collective memory. The books from the Archaeology of Memory Series are symbolically left unwritten to suggest the absence, forgetting and to inspire the viewer to imagine what they may contain. ​Books are symbols, instruments of memory. 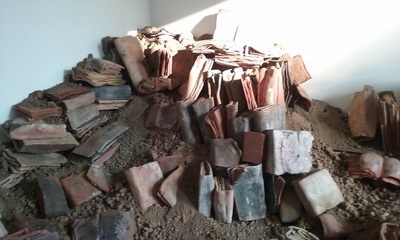 From the beginning of history, there has been a strong connection between words and clay, as early forms of writing were on clay tablets. The notion of historic time and permanence, apparent in the ceramic books, appears in contrast with the fragility of culture and knowledge. 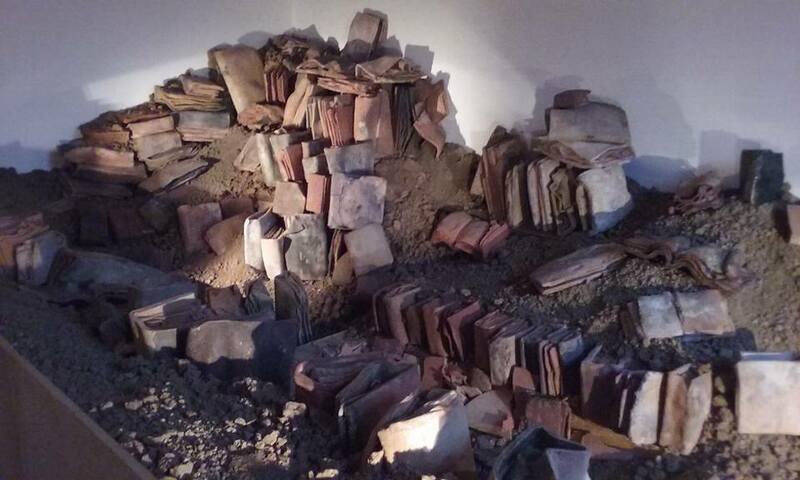 In the historical context of the 20th century when ideological and totalitarian systems have led to the massdestruction of books considered reactionary, the installation brings to attention the human need to save the past through an archaeology of memory. The past plays an important role in my creative process. My role as an artist is to dig through layers of history like an archaeologist in the attempt to recover the loss of collective memory. The process of forgetting is inevitable, especially in the contemporary times when people are concerned with the new. Ceramics is the medium that I predominantly use because clay represents the element that, on a metaphorical level, embodies the most dynamic qualities of life and nature through the transformations it undergoes, from volcanic eruptions to the erosion of mountains. The creative process of working with clay, from the making to the firing, is alchemical in its transformational nature. 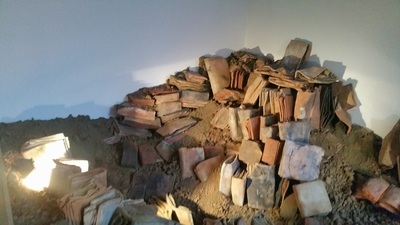 The majority of the books were fired in traditional Romanian kilns from Potigrafu and Piscu by u sing wood and horse manure for combustion. The communities of potters from Piscu and Potigrafu fell apart, hundreds of potters abandoning this craft after 1990. It is an inspiring experience to participate in the process of reviving lost traditions.